Different people want different things out of their kitchens. Some people want a kitchen that’s sleek and modern, others want something that’s slightly understated. 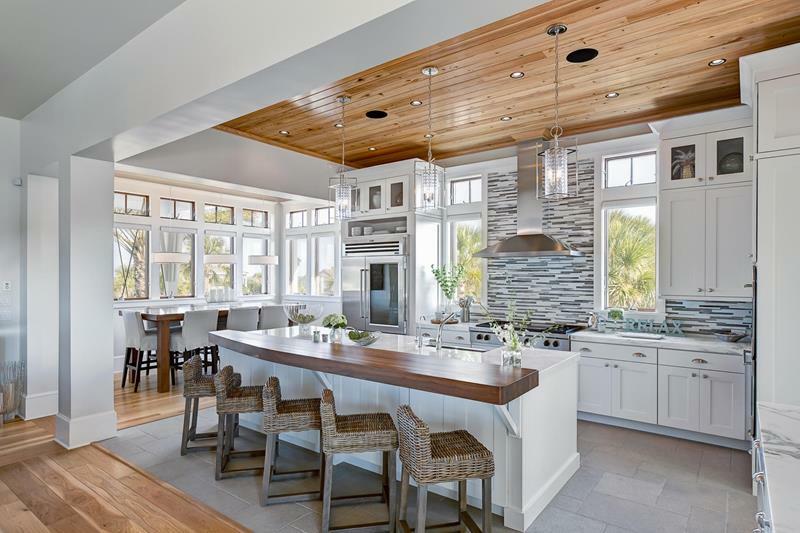 However, most people tend to want a bright kitchen – a place that’s cheerful and where the family can gather and enjoy the company of one another. Now, designing a bright kitchen may seem like a simple endeavor, but there’s actually quite a bit to it. You could, of course, go all white. But consider how garish that is. There’s a different between having a bright kitchen and one that you need to wear sunglasses in. That’s why we’ve collected the following 25 examples of bright kitchen designs. As you’ll see, each of these examples does interesting things with its layout, color scheme, and materials to create that beautiful bright vibe. In the end, any of these kitchens could prove to be the perfect inspiration for a bright kitchen design of your own. 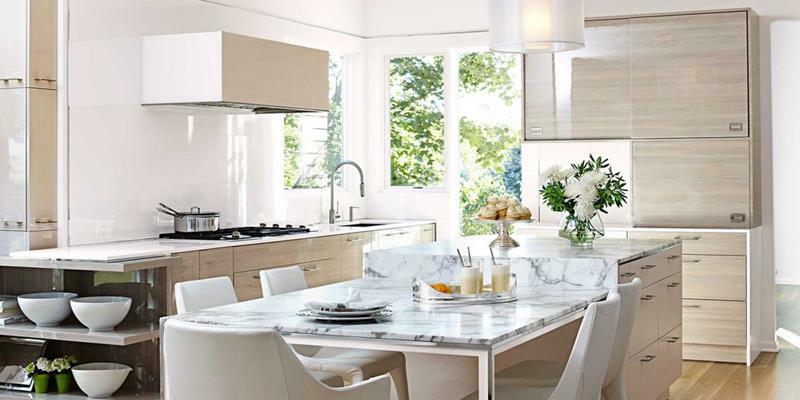 When thinking about counters for a bright kitchen design, marble is definitely a material to keep in mind. 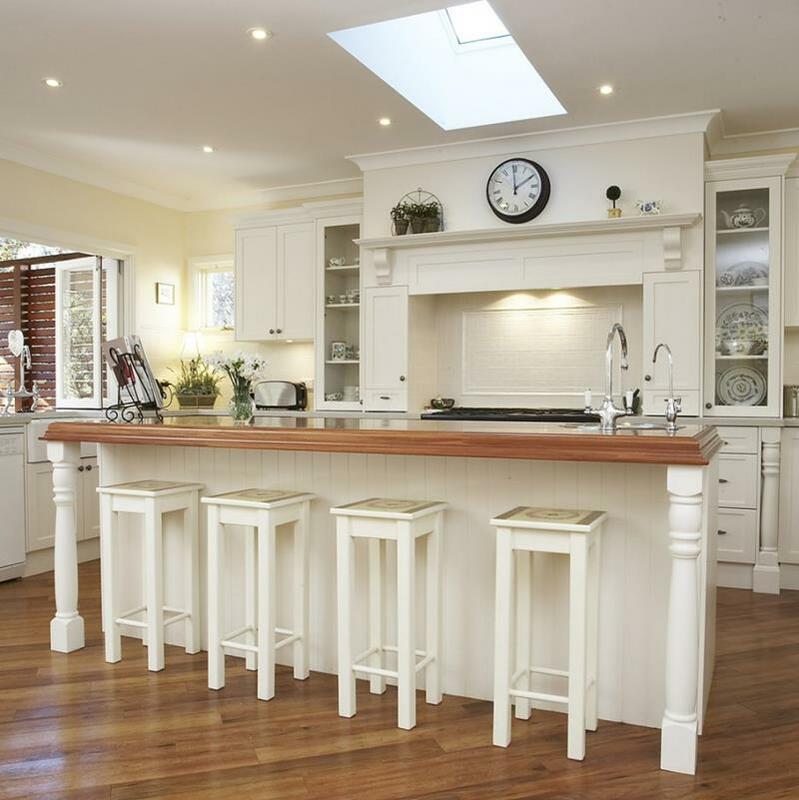 Just as with any other room in your home, a sky light can help to bathe your kitchen in natural light during the day. 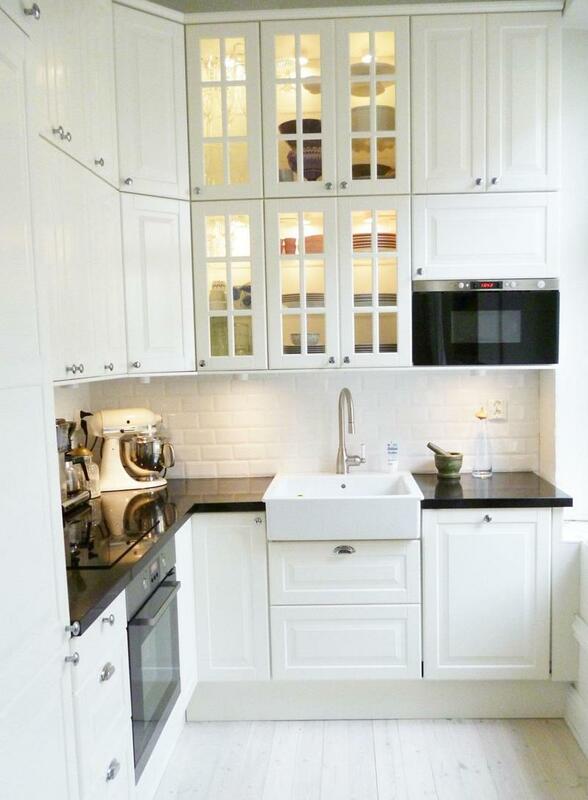 A popular feature for bright kitchen designs is glass-front cabinets. They help lend a sense of dimension and beauty. 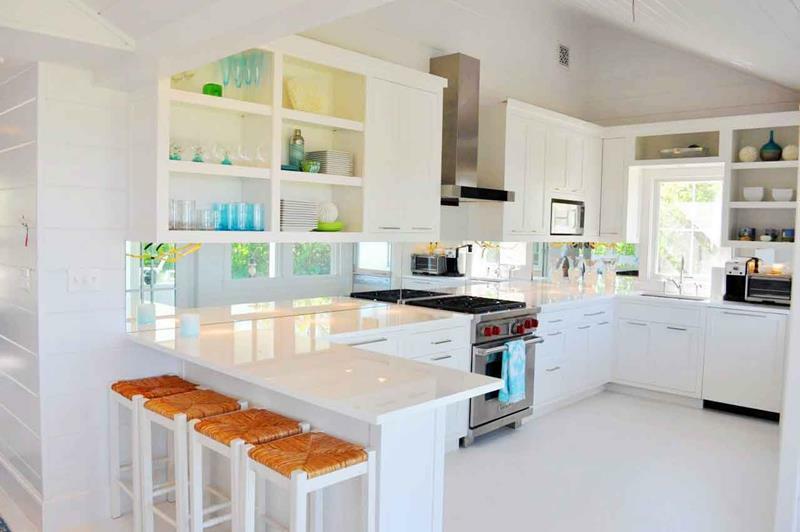 When it comes to brightness in a kitchen, white is best. However, you’ll want to add splashes of color with your “stuff” to really get the look you’re after.